Ducky was found on the feedlot headed for slaughter. She had once had a successful racing career but was ultimately thrown away as she could no longer produce the way her former owner wanted. 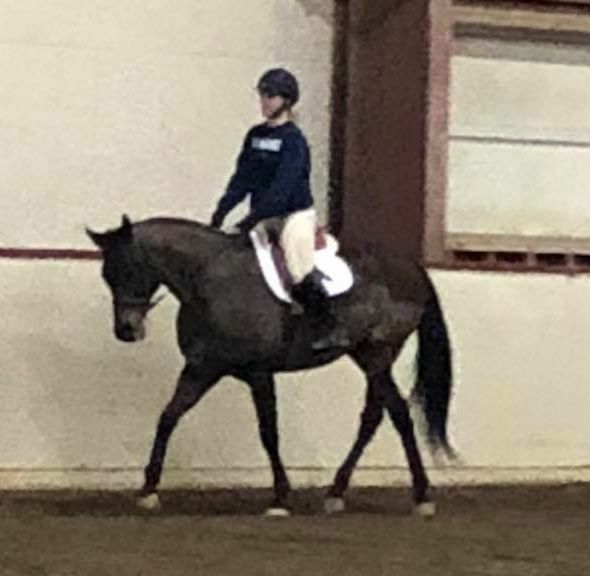 Ducky is a very talented 17 year old Thoroughbred. She is a beautiful athletic mare now able to prove her potential for dressage, hunter/jumper and eventing. She is very sweet and has bonded with her new forever owner. Sponsorship is a great option for those who are not ready to take on the obligations necessary to own a horse. There are many levels of sponsorship. Please contact us directly or click on the secure donation button to donate today. Every dollar is used for the care and rehabilitation of our horses. Thank you!